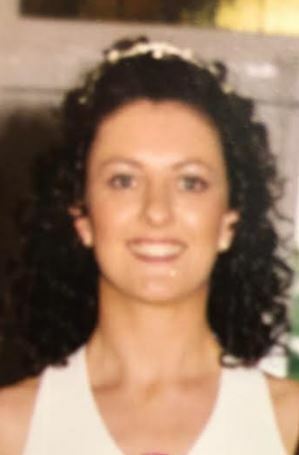 The death occurred on Friday November 23 of Maria Harte Bars (née Harte), Harbour House, Killenure, Glasson, Co Westmeath; and late of Legan and Killenboy, Colehill, Cop Longford. Predeceased by her father Eugene and sister Brigid. Deeply regretted by her heartbroken husband Jean Pierre, sons Christopher, Ronan and Jonathan, mother Margaret, stepfather Brendan, brother Peter, uncles,aunts, mother-in-law, father-in-law, sister-in-law, brothers-in-law, nephews, nieces, cousins, relatives and all her dear friends. May her gentle soul rest in peace. Reposing at her home on Sunday, November 25 from 3pm until 8pm and on Monday, November 26 from 3pm until 8pm. Removal on Tuesday morning, November 27 to The Church of The Immaculate Conception,Tubberclair for funeral mass at 12 noon with burial afterwards in the adjoining cemetery. Family time on Tuesday morning please. The death occurred, peacefully, at home, surrounded by her loving family, on Friday November 23 of Dearbhla Cox (née Considine), Clonbalt Woods, Longford Town, Longford. Sadly missed by her loving family; husband Phil, daughters Emily and Rachel, father Sean, mother Rosa, sisters Brid (Keenan), Mary (Conway) and Rosemarie (Rowley), brothers Donal, Brendan, Sean, Eamonn, Adrian and Ronan, father-in-law Terry, sisters-in-law, brothers-in-law, nieces, nephews, relatives and friends. May she rest in peace. Reposing at Glennon’s Funeral Home, Ballinalee Road, Longford, on Sunday, November 25 from 4pm until 8pm, concluding with prayers at 8pm. Removal on Monday, November 26 to arrive at St Mel’s Cathedral for Mass of the Resurrection at 11am, interment afterwards in Ballymacormack Cemetery. Family flowers only please, donations, if desired, to LARCC Cancer Support Centre, Multyfarnham, c/o Glennon Funeral Directors or any family member. House strictly private please. The death occurred, peacefully, at his residence, in the loving care of his family, on Friday November 23 of Seamus Martin, Corrick, Moyne, Longford. Deeply regretted by his sorrowing family, wife Bridget, son Kieran, daughter Orla, daughter-in-law Naomi, Orla's partner Ryan, grandchildren Donnagh, Ross and Caitlin, brothers Sean & Ollie, sisters Sarah & Bridget, brothers-in-law, sisters-in-law, nieces, nephews, relatives & friends. Rest in Peace. Removal on Sunday, November 25 to St Colmcille's Church, Aughnacliffe arriving for 1pm Funeral Mass, burial afterwards in adjoining cemetery. Residence private at all other times please. Residence, eircode N39W5Y3. The death occurred, unexpectedly at her home, on Friday November 23 of Anne Donnelly (née McGee), Cloongarvin, Strokestown, Roscommon, and formerly of Drumlish, Co Longford. Predeceased by her husband Joe and much loved mother of Ronan (Dublin) and Carol McNiffe (Ballinamore). She will be sadly missed by her family, daughter-in-law Lisa, son-in-law Declan, grandchildren Emma, Aaron, Rachel, Enda, Amie and Sophia, relatives, neighbours and friends. Rest In Peace. Reposing at McHugh's Funeral Home, Strokestown, on Sunday, November 25 from 4pm followed by Removal at 6pm to The Half Parish Church to arrive at 6.30pm. Funeral Mass on Monday, November 26 at 11.30am. Burial afterwards in Strokestown Cemetery. The death occurred, peacefully, at Roscommon University Hospital, surrounded by her loving family and previously in the loving care of Innis Ree Nursing Home, Ballyleague, on Friday, November 23 of Mamie O'Malley (née Kelly), Kilmacnanny, Scramogue, Co Roscommon. Predeceased by her husband Paddy, son John, daughters Mary and baby Bridget, brother Mike and sister Kathleen. Sadly missed by her heartbroken family, son James, daughters Bridget, Bernadette and Kate, brothers Jimmy, Willie, Pete, sister Bridie, sons-in-law, daughter-in-law, grandchildren, great-grandchildren, sisters in-law, nieces, nephews, cousins, neighbours and friends. Rest In Peace. The death occurred, suddenly at Cavan General Hospital, on Saturday, November 24 of Mary ‘Mamie’ Beatty (née O'Rourke), Killamority,Garadice Po, Ballinamore, Leitrim / Bawnboy, Cavan. Loving wife of Val. Sadly missed by her Husband, Son Declan (Belturbet), Daughter Adrienne Donohoe,(Dogarry), son-in-law Paul, daughter-in-law Michelle, Sisters Maggie (O'Reilly) Carmel (McCann), Brother Phelim, Grandchildren Luke, Grace, Adam, Gemma and Aaron, brother-in-law, sister-in-law, nieces, nephews, relatives, neighbours and friends. May Mary Rest In Peace. Reposing at Lawlor's Funeral Home, Ernehill, Belturbet on Sunday, November 25 from 4pm until 6pm. Funeral Mass on Monday, November 26 at 12 noon in St Patrick's Church, Kilnavart with burial afterwards in the adjoining cemetery. House Strictly Private please. The death occurred, peacefully, at St Vincent’s University Hospital, Elm Park, Dublin, on Thursday, November 22 of Joseph O’Broin, Fairways, Rathfarnham, Dublin and formerly Kiltubrid, Co Leitrim. Beloved husband of Maureen and loving father of Conor and Brian. Sadly, missed by his wife, sons, daughters-in-law Caroline & Roisin, grandchildren Lauren, Florence, Cian and Erica, nieces, nephews, extended family and friends. Reposing at Fanagans Funeral Home, Willbrook, Rathfarnham on Sunday, November 25 between 3 and 5pm. Removal on Monday, November 26 to Church of the Annunciation Rathfarnham arriving for Funeral Mass at 10am, followed by Cremation at the Garden Chapel, Mount Jerome, Harold’s Cross. “Come to me, all who labour and are heavy laden and I will give you rest”. Family flowers only. Donations, if desired, to St Vincent de Paul.